We were intrigued by the smooth delivery on James Harker’s 2013 EP, Anecdote, an all-too-short three track musical treat that left us wanting more. The wait is over, and Britain’s versatile son has dropped his new album, The Ebb and Flow, right onto our doorstep. Upon first listen, it’s obvious that the anticipation was warranted. James Harker can best be described as a performer, there’s a musicality that extends beyond his years and edges into other realms of performance. There is a theatricality to his storytelling nature, whether it’s writing about everyday occurrences or delving into the fantastic. The use of instrumental passages is critical to the successful setup of this record; this provides the structure to Harker’s dynamic vocal performances. “The Ebb” is one of those instrumental passages that does so much for setting the tone. You’re practically on the edge of your seat when “Alligator” begins; and this wonderful track is a showcase for what Harker does so well. “Iburndale” is a swoonworthy heartbreaker of love lost that strikes all the right notes. “Fisher King” amps up the drama, and captures the wondrous tale of the Arthurian legend, making for a compelling and energetic track. “Canute” is another standout, a melancholy moment that provides a wonderful contrast in style. The closing track, “And Flow,” appropriately provides the perfect delicate finale to everything that comes before it. And again, leaves you wanting more. James Harker is a captivating and charismatic performer; he brings his stories to life with an ease that’s enviable. 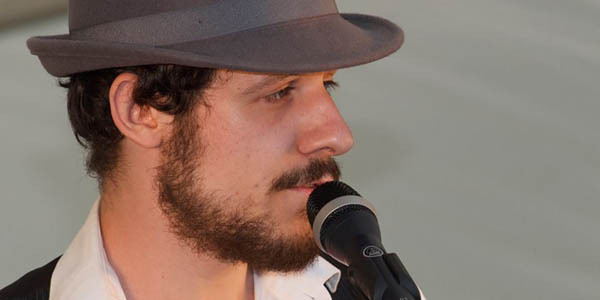 His natural ability to emote through vocal vulnerability is a true asset to his storytelling style of lyricism. The orchestral nature of his arrangements translate well to sparser treatments and allow so much space to inject lush musical moments. 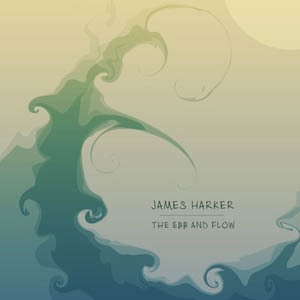 One of the best characteristics of The Ebb and Flow overall, however, is Harker’s ability to ask listeners to suspend reality and get caught up in his charming musical landscape. And you’ll go, willingly. Worth the wait? Most definitely. Awesome album, also enjoyed Ferry Lane Bridge. Thank you for the review, always glad to come across interesting music. We’re so glad you enjoyed it, Georgia - we think it’s pretty fantastic, too.